Ready to UNLEASH YOUR INNER COWGIRL? Check out the tentative agenda. It is time to celebrate 20 years! We are calling on women passionate about agriculture to come EARN YOUR SPURS. The focus will be on personal development leadership. Participants will sharpen their rowels on etiquette, selling yourself, time management, organization, a great tour and so much more. Attendees will leave with tangible tools and resources to help them be the best version of themselves. Grant County Cooperative Extension is proud to present Agriculture Listening Session with Dr. Rolando A. Flores Dean of College of Agricultural, Consumer and Environmental Sciences New Mexico State University And Jeff Witte New Mexico Secretary of Agriculture. Please come and voice your agriculture related concerns! This annual award is bestowed on a member for outstanding service to the organization and to the promotion of the ranching way of life. Bobbie Neal-Little exemplifies this honor. She has served over 15 years as a Copper CowBelle and although she stays quite busy with her family, she always makes time to help a neighbor and support local youth. Bobbie has been instrumental in assisting the Silver City Museum with “Trunk lessons” on ranching as well as collecting artifacts and histories for an upcoming ranching exhibit. 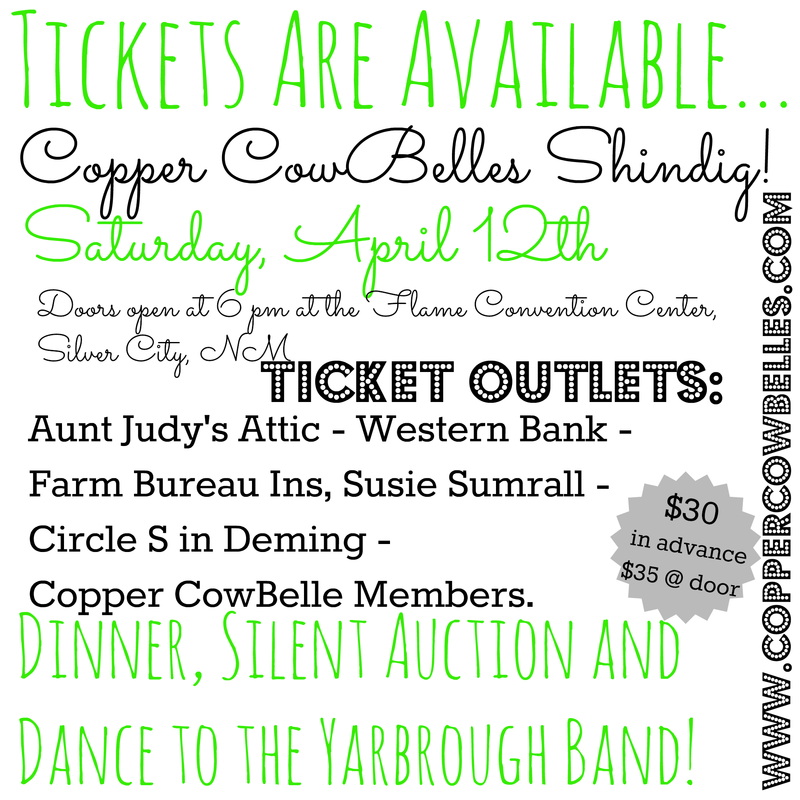 She works hard to promote the fundraising efforts for the Copper CowBelles with the annual Shindig, coming up April 30, as well as the annual Grant County Fair booth and other venues which fund scholarships for Grant County students majoring in Agricultural fields. The local chapter of the New Mexico CowBelles organization, Copper CowBelles, began September 1976. 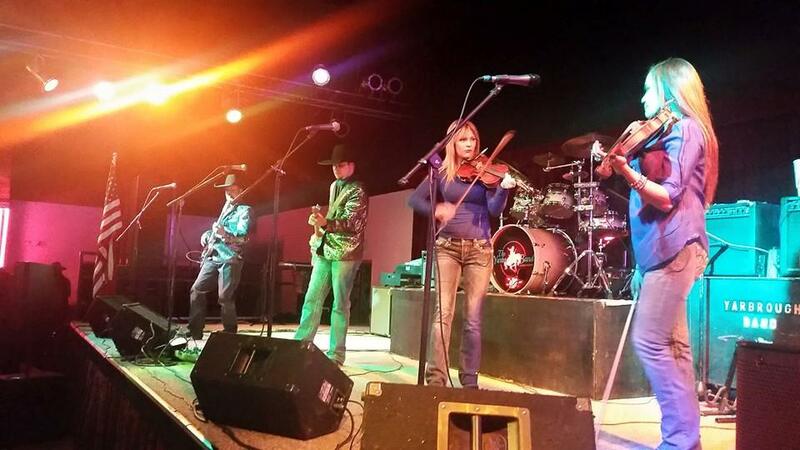 The Copper CowBelles, with members from all walks of life, have made themselves known as a group of women who want everyone to know the importance of the beef industry to Grant County and The State of New Mexico. 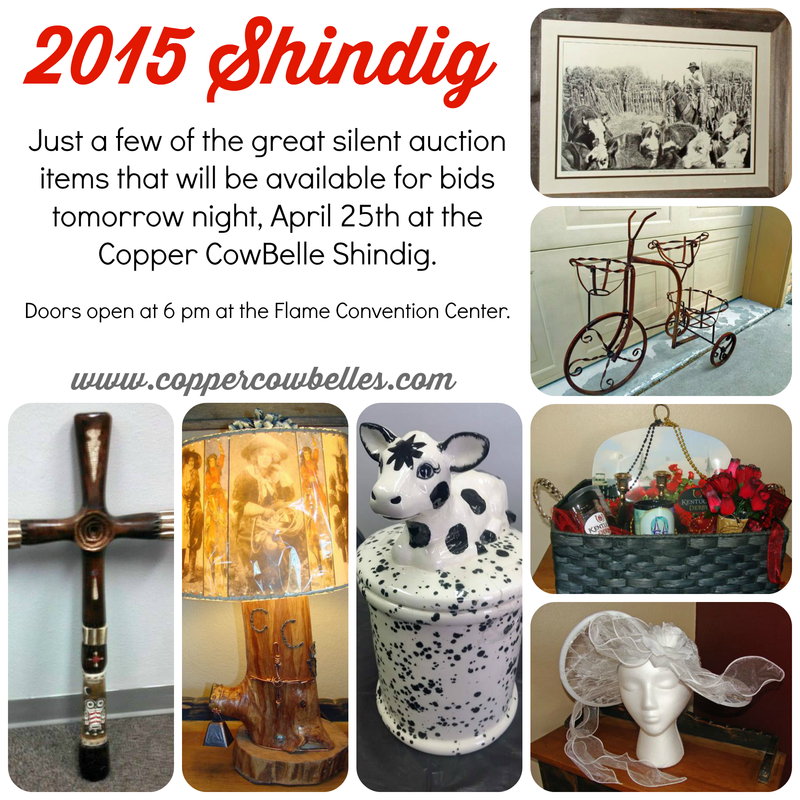 The CowBelles 2015 Shindig was a great success thanks to our members, sponsors and the community! We are still in the preliminary process of tallying up our funds raised. It looks like we had a record number of tickets to the event that were sold. The silent auction was down from previous years. 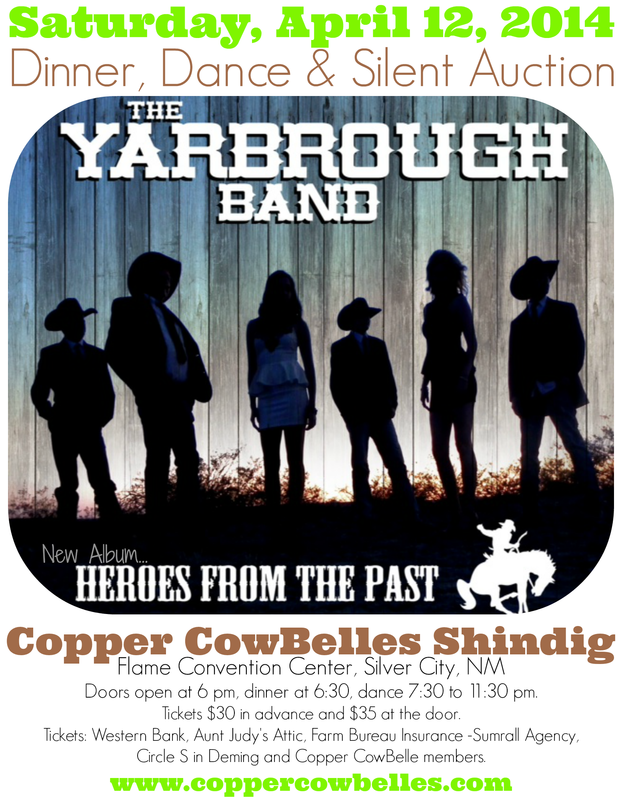 As always, we enjoyed the fantastic music of The Yarbrough Band.